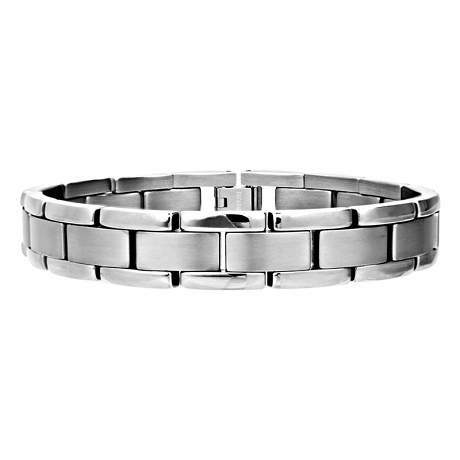 Smooth and elegant, this larger linked design is one of our best selling men's titanium bracelets. 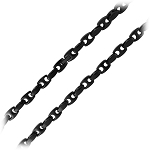 It alternates between satin finished and polished rectangular links in an 8.5" length that falls perfectly on the wrist. Durable and stylish, masculine piece of men's jewelry is a "must have." This bracelet is very attractive. I bought it for my boyfriend and it looks great on him! The only thing was that it just fits...would be nice to have a little more room on his wrist. He won't be able to put it on by himself. It's everything the description says it is. Looks great, feels smooth and comfortable on the wrist and is definitely elegant and masculine. I couldn't resist it when I saw the picture and I'm glad I gave in and bought it. Great value.